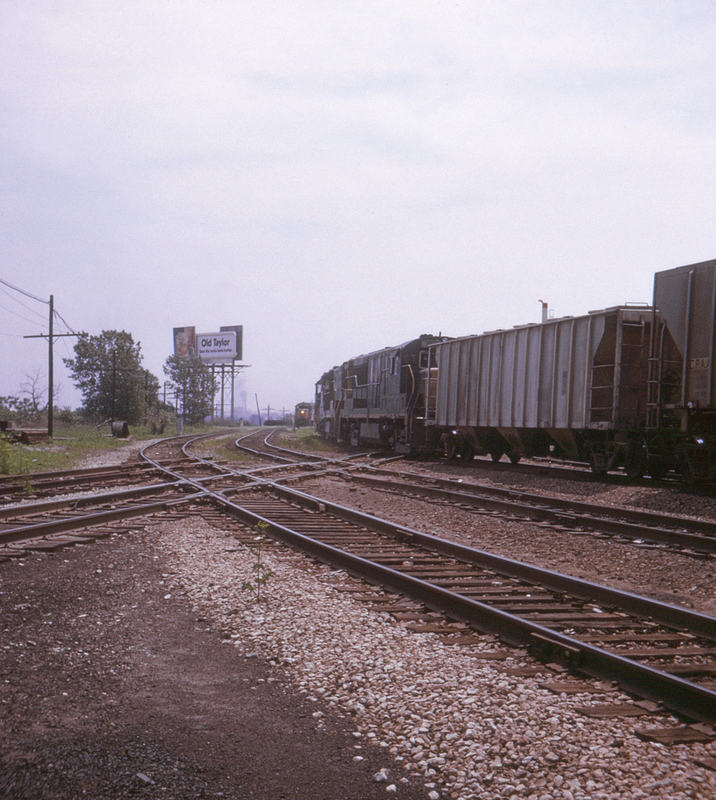 A Chesapeake & Ohio freight turns south onto the Nickel Plate Road off the Chicago, Rock Island & Pacific interchange track at Chicago's Pullman Junction, as another freight waits in the distance. The tracks in the immediate right foreground belong to the Chicago & Western Indiana, while the Nickel Plate mainline enters from the lower left. Apparently track reduction is in progress; several diamonds have already been removed.